There may be many occasions when you would like to wear onesies. 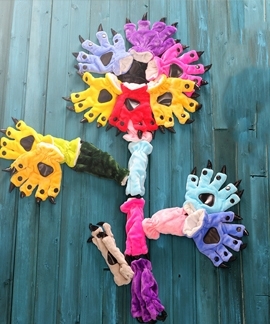 It is unique apparel that kids love to have and adults try for having fun. You might be glad to know that a variety of animal onesies are available if you want to buy for yourself or for your kids. You can find onesies in fabric, design, size, and shape suitable for your requirements. This might sound pretty simple to buy a onesie, but there are plenty of things you must check before you purchase one. One size does not fit for all and everyone does not like the same design. 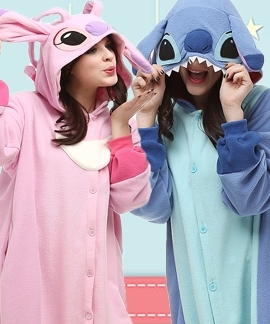 So, you must know what would be the best choice for you when it comes to buying onesies. 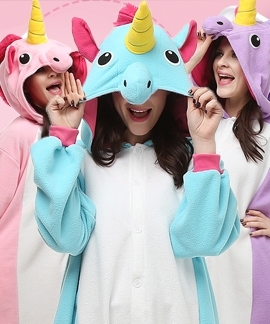 At our onesieshow store you can find the most comfortable animal onesies. Some people might find unfooted onesies unattractive because they will have to wear socks or footwear of the matching costume. There is no need to worry if you do not like unfooted onesies. You can get footed style’s onesies with a pretty comfortable bottom. There is only one issue with the footed onesies that the feet might get dirty while walking on the way or in the party. There is no such issue with unfooted style because your footwear will protect your feet and costume throughout the event. If you are looking for animal onesies for kids, so it would be a better option to not buy the footed style’s onesies. Kids might not find it comfortable when their onesies will stretch towards their feet due to walking or lying down in the bed. The unfooted onesies are easy to wash and maintain for a long time. However, the choice between footed or unfooted also depends on the looks. So, make a wise choice after considering all these factors of both types’ onesies. Whether you want to buy animal onesies for adults or for kids, there is no question about having or not having the hood. An animal onesie gets its appeal like an animal only if the hood is designed according to the head of a particular animal. You can get a rabbit, bear, tiger, and many other designs in this outfit. However, if you are buying one just for wearing at home, a onesie without hood can also be a great choice. The hood offers a unique appeal for which numerous people prefer the hooded onesies. The most important thing you must consider before buying animal onesies for adults is the fabric. A wide range of soft fabrics is used for producing high-quality onesies. You can find this outfit 100% made of jersey cotton or you can also pick a onesie made of 100% polar fleece. Though cotton is a soft and thinner fabric, it still offers comfortable, breathable, and natural looking onesies. It remains warm during the winter season and cools during the summer season, so it can be a better choice. When it comes to polar fleece, this synthetic fabric gives a thicker feel with extra warmth and a softer finish. You might not like to put it on during the summer season because it will make you sweat due to the thicker texture of the fabric. If you are buying onesies for adults, both cotton and polar fleece are washable fabrics and both do not shrink if you wash the onesies carefully. Hence it is not a daily use outfit, so you can pick the cotton onesies. It will not feel uncomfortable even you sleep in this outfit. If you live in a cold area and seek an outfit that can offer you a unique look meanwhile keep you warm, then onesies made of polar fleece would be another better choice. As mentioned earlier, cotton and polar fleece are great choices like fabric when it comes to onesies. However, you must consider some other options too when wanting better flexibility. If you like to be stretchable and comfortable, choose onesies made of flexible fabric. Also, ensure that you get a durable one that you can use for a long time in different events. We have a vast collection of animal onesies for adults and kids that you must check in order to pick the best one for your needs at a very competitive cost. We offer varies shipping methods. You can choose what you need. Your 100% satisfaction is our top priority! Refund is available for you. PayPal is a secure and trustworthy payment.